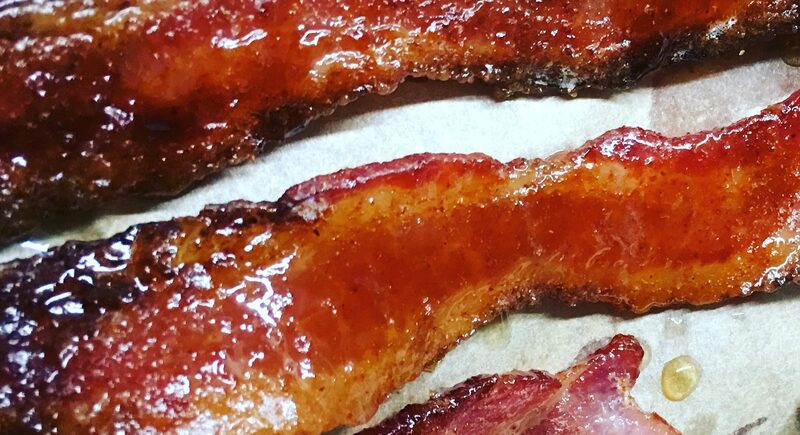 Who doesn’t love pig candy? Oh well, my friend Kelli Dawson might be the only non-lover of bacon, but for the rest of us bacon is well loved! It is impossible to eat only one bite, so mind your calories elsewhere. We love this as an appetizer, side item, or a garnish for dessert such as crème brulee. Sprinkle the bacon with brown sugar and cayenne pepper. Bake for about 25 minutes until browned and crisp. After removing the bacon from the oven, brush with maple syrup and allow to cool!